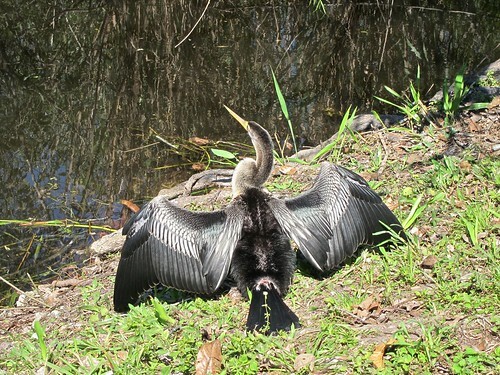 The trail is named after this waterfowl, the Anhinga. The name comes from the Brazilian Tupi language and means devil bird or snake bird. The Everglades is the largest subtropical wilderness in the United States. According to Wikipedia, the name alligator is an anglicized form of el lagarto, the Spanish term for “lizard”, which early Spanish explorers and settlers in Florida called the alligator. 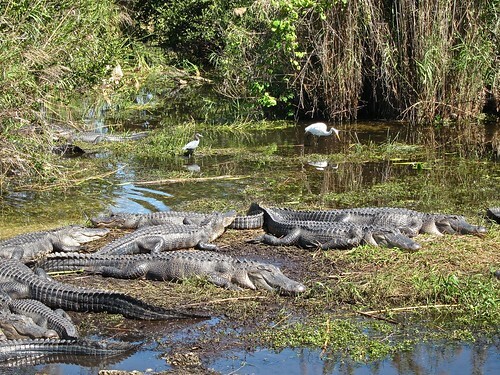 Alligators galore…plus a couple of waterfowl. South Florida (mainly Everglades National Park) and The Keys had always interested me. So when I found a short block of time with no house/pet-sitting commitments in early March, 2013, I headed in that direction. 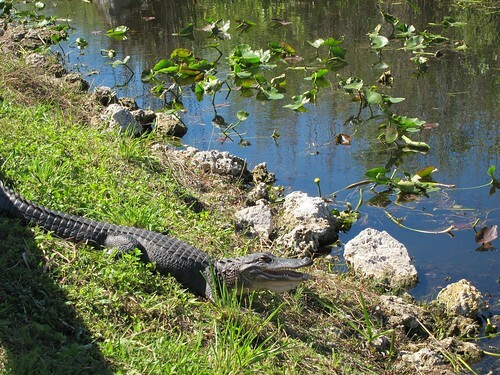 To view a slideshow of the Everglades National Park backcountry boat tour, click on any photo below. 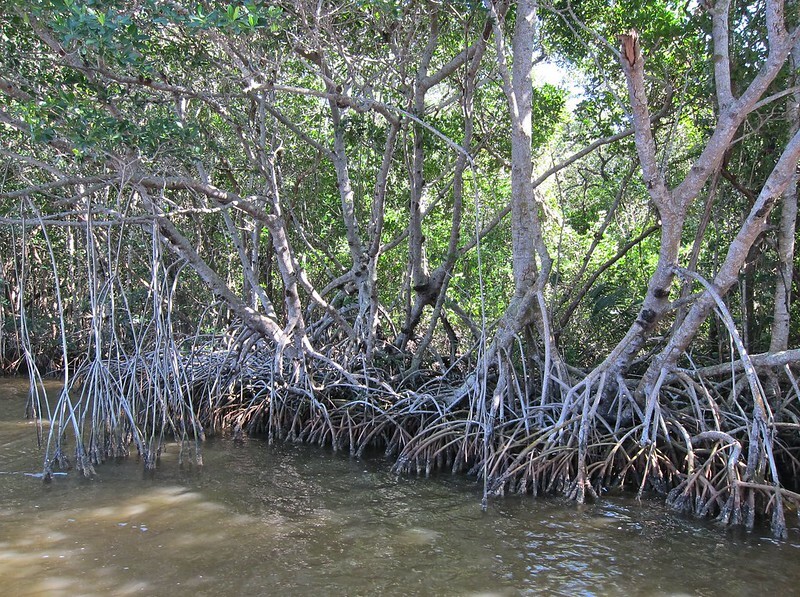 Mangroves grow in brackish to saline water. A backcountry boat tour sounded like a good way to get a feel for the Everglades and see native trees and flowers up close. A cold wave had swept into the south, so I’d already planned to dress warmly. Then after a guide at the Ernest Coe Visitor Center near Homestead warned me that it would feel like “Minnesota weather” when we out on the open water, I grabbed a a sweater wrap that is my coat for winter in Indiana. Thank goodness I took the sweater wrap. You’ll note in one of the slideshow photos that I wrapped myself in the wrap in addition to the heavy cotton hooded jacked I wore. 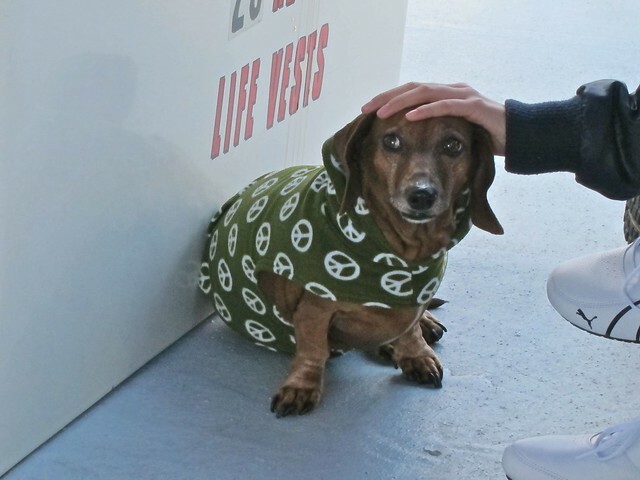 I wasn’t the only one bundling up as you can see from the boat driver’s dog ((Photo below). The female boat driver’s dog, who rode with her regularly, was a great distraction for young and old alike.